Bali was one of my favorite places to visit this past year. There are so many incredible things about that island and one of them is the amazingly fresh, delicious and healthy food. My favorite food to recreate from there is the beautiful smoothie bowl. Not to mention, it’s super healthy. Right now, where I live, we are in the middle of a snow storm. It is still winter, after all. While being stuck mostly indoors all warm and cozy, its been a perfect time to daydream about perfect warm weather. Making a smoothie bowl at home helps bring me back to Bali warmth. You don’t have to travel across the world to enjoy a pretty smoothie bowl. You can make one right at home. It is a simple, pretty, healthy and a quick breakfast or a snack for anytime throughout the day. Here is the recipe of what I used, but you can get creative with your smoothie bowl. Use your favorite fruits and add ons to make your perfect bowl into a work of art. Then, show off the instagram worthy pictures of your creation, making your friends crave one too. 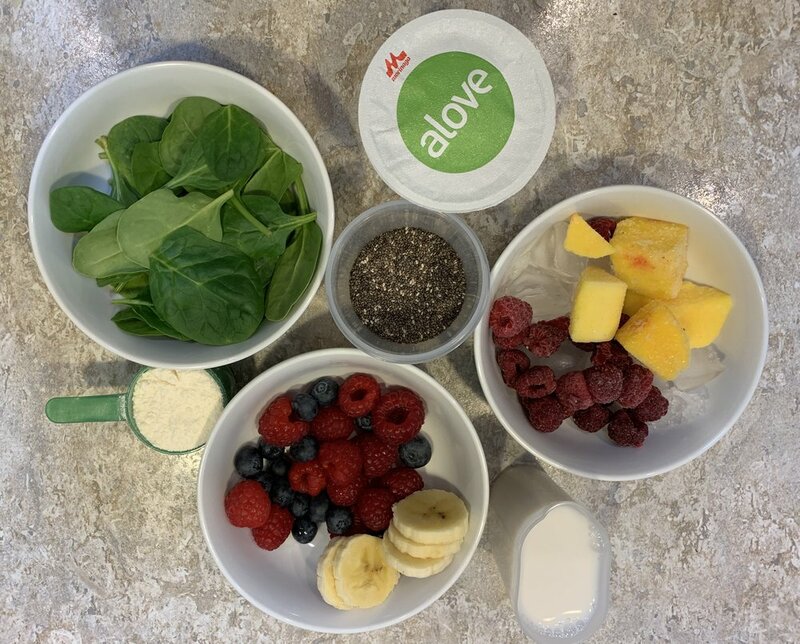 In a blender mix together Alove yogurt, spinich, almond milk, protein powder, frozen mangos & raspberries, add extra ice or more milk for desired thickness. *For a smoothie bowl, you want to create a thicker smoothie so it will hold and not turn to liquid so quickly. Alove yogurt is a wholesome and yummy choice on its own, but also, the perfect addition to your smoothie bowl. It comes in several delicious flavors to choose from, such as strawberry and blueberry. It is a Japanese-style spoonable yogurt that was the first to come to America. They use the best and highest quality ingredients in their yogurt. This yogurt contains the inner gel of the aloe vera plant. 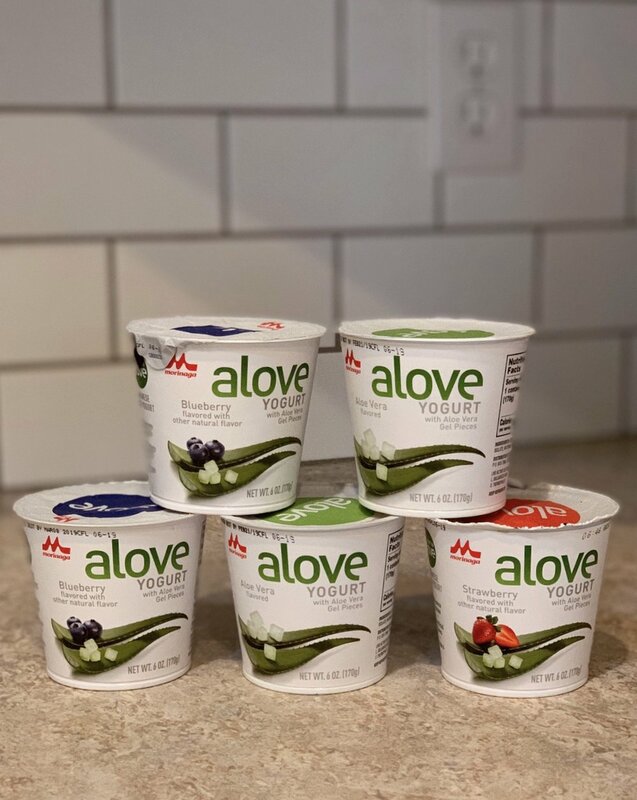 Find out where you can get Alove yogurt near you, HERE and be sure to follow @aloveyogurt on Instagram too. Alove yogurt is what gave my smoothie bowl a little something extra! It is a sample as that. I hope that, you too, will start creating your own healthy smoothie bowls for your own little taste of paradise.